1. How long has your League been playing Stormfall: Rise of Balur? I founded the “WAP” League on January 12th, 2015, and it grew from there. Some of the members who have been with us from the beginning are players whom I had known for years from playing other games. Many great friendships have developed from in-game alliances. Since the founding of “WAP” we’ve virtually witnessed three births and two weddings. 2. 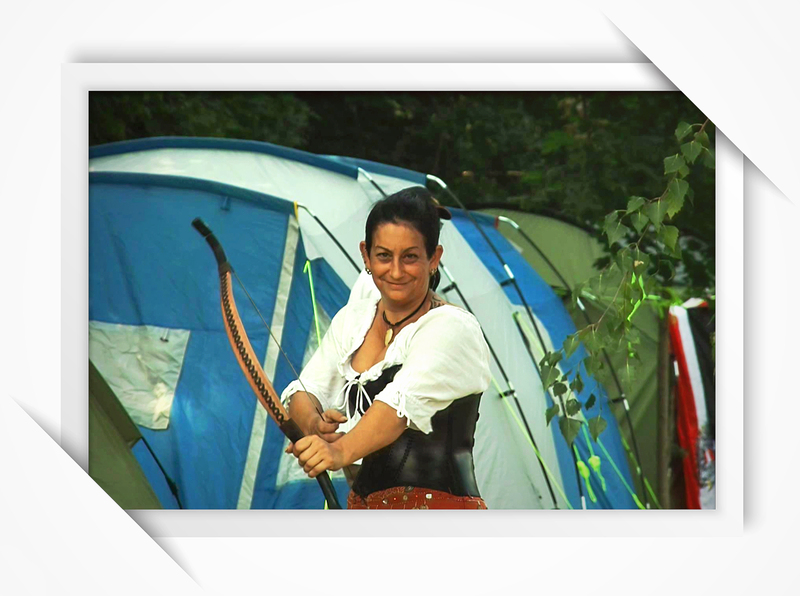 Was this your first gathering? It wasn’t the first time that I got to meet some of the other players in person, but it was the first meeting of this size - though certainly not the last. 3. Whose idea was it to organize the meeting? Once the idea was out there, how long did it take to organize everything? Some of the players and I already knew each other, which made us very excited about getting back together. Since the FARK convention (a non-commercial fantasy and role-play convention in Germany) would soon be taking place, we quickly came to the decision to meet in the same city during the same dates as the convention. This way those who wanted to could also attend that. Most of the preparations took place in August 2017, about 4 weeks prior to the actual meeting. 4. Did you run into any issues during your preparations for the meeting? Not really. The only problem was that some players had already made vacation plans with their families during that time and others couldn’t get any time off work. Unfortunately that meant that only 20 out of our League’s 120 players could make it to the gathering. Three players from other, allied Leagues (C/D, VK1, 214) did join us though. 5. Do you have any advice for players who want to take part in a gathering with their own League? To make a League Gathering happen my first tip is to find a suitable, central location. This will ensure that the trip is not too complicated for the players. Ideally, you should ask players where they live and then find a location somewhere in the middle. Since we wanted our gathering to take place in the same place as the FARK conference, we didn’t have to think of a location. We had players from all across Germany (Hamburg, Hannover, Stuttgart, Mannheim, Aachen, Witten, Cologne, Wolfsburg) and Austria (Vienna) join us. Next year we’re planning another meeting, which will probably take place somewhere in central Germany. 6. Do you think it’s important for members of a League to meet in real life? Why? Of course! Meeting allows players to get to know each other in person and meet the people behind the nicknames. In our case, many of the players didn’t know each other at all. Even I, who was hosting the gathering, only knew three other participants. But we had a lot of fun and got along well with each other. I’m going to meet with two of the players I’d met at the gathering again next weekend and I’m really looking forward to it. Our social interactions have become a lot more friendly since meeting. 7. Did you like the flag you received? Ideally, we’d like to create a flag with the League’s coat of arms on both sides. 8. Is there anything else you took away from the gathering? I got to meet a lot of lovely, special people, and make many new friends. I’m already looking forward to our next meeting, which will probably take place in June 2018. 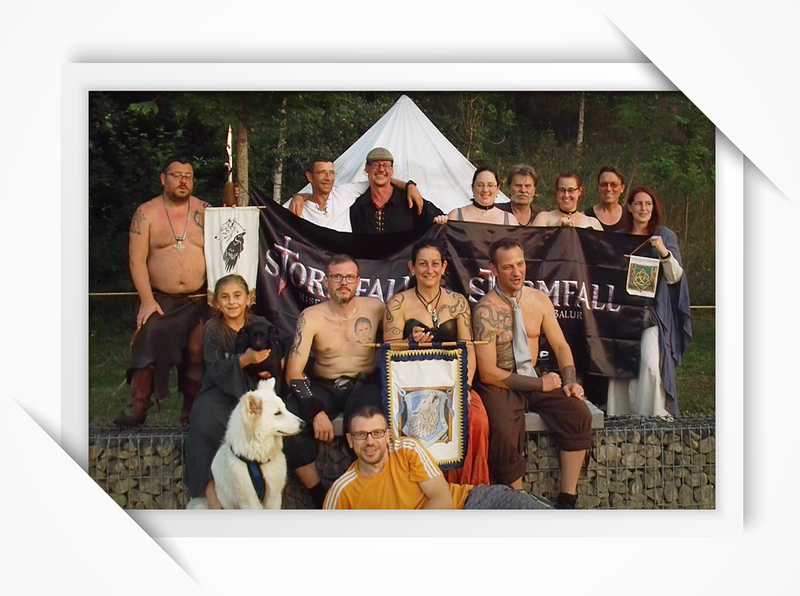 If we can find a bigger location, we'd like to expand the meeting and organize a Stormfall meeting with other Leagues.